Jack, our boxer is like my 4th child so why not make purchasing eco-friendly and organic toys as much a priority for him too? In the past, it has simply been too difficult to find toys, bedding and accessories that were organic. Simply Fido changes everything with a fantastic selection of high quality organic toys, blankets, bamboo nap maps and more. Simply Fido has a bamboo nap mat that is Jack’s favorite new spot to curl up and take a snooze. I like that it is made out of bamboo which in my experience is extremely durable and is made out of a material that is very sustainable so it is eco-friendly too. The nap mat that we received is a lovely pink and yellow color that is made from plants and minerals in a process that is called PureWaterWash™. It is such a pretty shade that I was shocked to discover that it was created in this manner. The fabric is extremely soft and silky and the other afternoon I discovered my three year old sound asleep on the bamboo nap mat nestled next to his beloved Jack. There are two color options and the Simply Fido Bamboo Nap Mats are available in two sizes, small and medium and range from $34-$40. 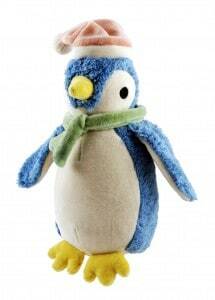 Jack was thrilled to get a new plush toy penguin from Simply Fido’s collection and there is a toy that is sure to thrill every dog from “Oscar Monkey”, “Wally Bear” and many more. I am in love with the adorable “Lucy Bunny” that is just too cute and uses the same technology for the pretty coloring. Jack’s plush toy has squeakers that really get him excited and he loves to play with his new toy. It is surprisingly durable because typically he can shred a plush toy in minutes and his penguin toy is still going strong. Another great option for dogs that can shred toys is “Lolly Stuffless Lamb” which has “no mess” stuffing- less body. Simply Fido is certified organic so these are high quality pet products that you will feel good about giving to your dog. 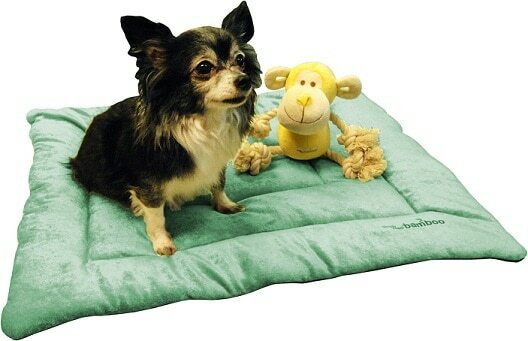 You can view the entire collection of Simply Fido products online. I like the Oscar Monkey Blankie. So cute! Like Simply Stacie on Facebook- Quanda. Mary Jane Bags – Laptop Sleeve – 15″ in Toile White. The Lucy Bunny Petite toy is adorable. 1/24 vote, You have just voted for Simply Stacie! Remember, you can vote every day.